The autonomous driving technology market is set to be one of the fastest-growing markets in the next decade. I analyzed the hundreds of companies vying for market share and identified the three companies most likely to dominate this industry. Intel, Nvidia and NXP all have the capacity, expertise and partners needed to give them the edge over their competition. The autonomous driving technology market is regarded as a gold mine of technology, with the market predicted to grow from the current $24.2 billion to $172.3 billion by 2025. This is a remarkable 32.36% CAGR. 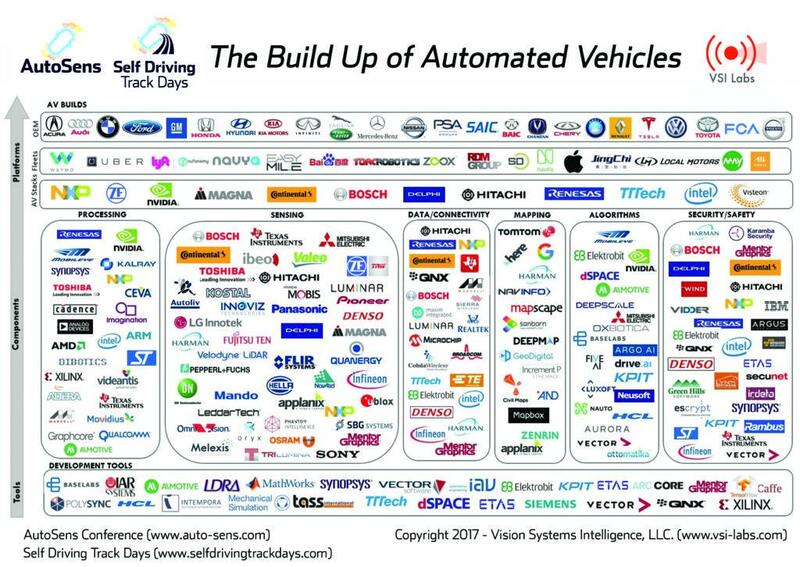 Keep in mind that this is only the hardware, software, and services related to autonomous vehicles and does not even include the actual vehicles itself. 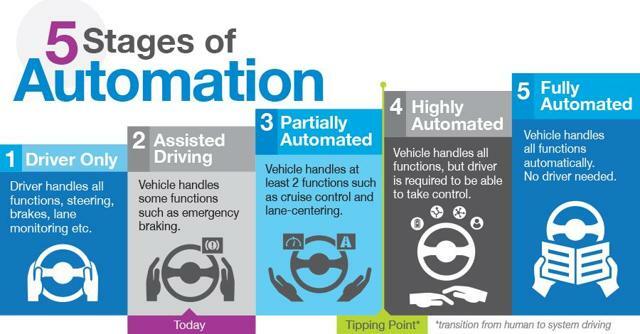 With the state of automation reaching the tipping point with Level 4 automation (vehicle handles all functions), companies are rushing to find their fit by developing as many products and services as they can bring to market. 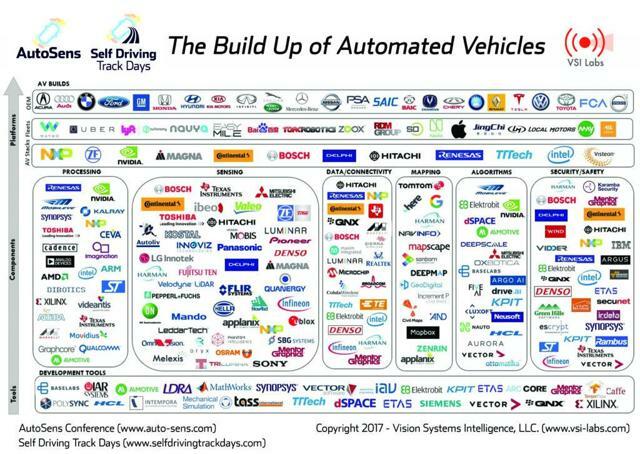 This makes the value chain of the autonomous driving market more integrated with the same companies operating in more than one area. Large operations: To be able to properly scale, I determined that the companies needed a sizable earnings and balance sheet for capital expenditures. As such, I set a filter for companies with minimum thresholds of $5 billion revenue, $10 billion market capitalization, and $2 billion cash balance. Existing presence: Most of the time, companies that get the first mover advantage end up with a sizable portion of the industry. I made sure the companies I selected already have a strong presence in the autonomous vehicle market and a proper road map to their future. Key partnerships: The phrase "It's more of who you know, than what you know" applies to mega companies as well. I made sure the companies selected had key partnerships in autonomous vehicles to cement their places in the market. Vision to dominate: It's easy to operate in a niche portion of the market, that so many of these companies are trying to do. To be able to capture double digit market share however, requires a company to operate in many of the different verticals in the industry. As such, I eliminated companies which had a focus on just a single portion of the market. Altera: The company is a leader in field-programmable gate arrays ('FPGA'), used in specialized circuits in Advanced Driver Assistance Systems ('ADAS'). Intel paid $16.7 billion in 2015 to be in control of this key capability. YOGITECH S.p.A.: Acquired in April 2016, this company's expertise of functional safety is a key aspect of ADAS. Their acquisition was intended to bring Intel's autonomous systems efforts to the next level. Itseez Inc.: The company is an expert in Computer Vision ('CV') algorithms needed for processing, analyzing and understanding images in autonomous driving systems. Itseez is a key ingredient for Intel’s Internet of Things Group ('IOTG') roadmap. Ineda Systems: Intel recently acquired this company in February 2019 for an undisclosed amount. This acquisition is intended to leverage on Ineda's engineering expertise in autonomous driving systems. Mobileye: Intel's most recent $15.3 billion acquisition of this Israeli company is the most recent push for dominance in the autonomous driving space. The company is the global leader in the development of vision technology for ADAS and autonomous driving. Intel will benefit from more than just Mobileye’s technology, as the company’s rich customer base includes almost every top automotive manufacturer. Intel themselves have made their vision for autonomous driving clear in providing a complete portfolio that delivers an end-to-end platform spanning the vehicle, communication, and data center. We can see that their acquisitions are indeed strategically focused, and I expect even more to follow in their push for a unified connected vehicle solution. As far as getting a head start, Intel already have an agreement with BMW Group (OTCPK:BMWYY) to bring self-driving cars into the market by 2021. The company is a leading automaker advocating autonomous driving and leads a consortium of automakers including Fiat Chrysler (FCAU), in their collaboration. Intel is set to provide the systems and chips for this group, while Micron Technologies (MU), the world's fifth-largest semiconductor company, recently entered the partnership to supply memory solutions for the self-driven cars with BMW and a separate agreement with Intel to power the memory of Mobileye’s fifth-generation EyeQ 5 system-on-chip (SoC)-based EPM5. This is not the first time Intel and Micron have collaborated. The two companies worked together to develop 3D XPoint, the latest type of memory technology. With Intel focused on embedded systems within autonomous technology, and Micron focused on the memory solutions required, this partnership seems to be a good match. Suffice to say, this trilateral partnership between Intel, Micron and BMW is one of the world's biggest collaboration efforts to make self-driving cars a reality. Intel will clearly be at the forefront of this market and earned their place in the top three. Although Intel continues to shift their strategy from a PC-focused company to a IoT focused company, the matter at hand remains that 77% of their revenue is still derived from platform CPU. Based on previous analysis, they are set to lose market share in CPU, which is why they are not valued higher than the current price target of $54. Should the price drop below $50, it would be an excellent opportunity to pick up Intel shares for future exposure to the autonomous driving market. Unlike Intel's strategy of obtaining expertise for autonomous driving through acquisitions, Nvidia has been busy developing their very own ecosystem of autonomous driving solutions, under DRIVE AutoPilot, the world’s first commercially available Level 2+ automated driving system, set to hit markets in 2020. DRIVE Xavier: World’s Most Powerful SoC and used to power their automated driving system. It's able to compute 30 trillion operations per second using just 30 watts of energy. DRIVE Pegasus: World’s first AI car supercomputer designed for fully autonomous Level 5 driving system, bringing world-class autonomous driving perception and an intelligent cockpit. DRIVE AV: The hardware needed for industry-leading compute performance necessary for camera, LIDAR, radar, and ultrasonic sensors to understand the complete 360-degree environment in real-time, localize itself to a map, and plan a safe path forward. DRIVE IX: Intelligent experience software development kit enables the development of AI assistants for both drivers and passengers. It uses data from sensors tracking the driver and the surrounding environment to keep drivers alert, anticipate passengers’ needs, and provide insightful visualizations of every journey. DRIVE Constellation: Data center solution test for simulation testing in a near-infinite variety of conditions and scenarios before vehicles even reach the roads. Nvidia definitely got a head start to their competitors in this space, establishing a portfolio of automated driving solutions. This earned them a deals with some of the world's largest automakers, Mercedes-Benz (OTCPK:DDAIF) and Audi (OTCPK:AUDVF). They also have deals with three Chinese electric car makers: XPeng Motors, Singulato Motors and SF Motors. The company's capability as a one-stop shop for autonomous driving has clearly earned them a reputation among major automakers, and they are likely to remain the number one choice given their focus on more efficient systems with artificial intelligence learning capabilities. As Nvidia is a leading innovator in the industry with double-digit revenue growth, the market has already priced in high valuation multiples into their share price. The company's share price based on fundamentals, DCF valuation, precedent transactions, comparable company analysis, technical analysis and market sentiment implies a price target of $165.83. There were a few decent buying opportunities at the start of the year, and should the share price drop below $150 again, it would be a great opportunity to scoop up this company. Read this: Nvidia: How Much Should The Stock Price Be? NXP is another company which got a head start in the autonomous driving market. Unlike most other companies including Intel and Nvidia, NXP's main revenue segment is actually derived from the automotive market. 48% or $4.5 billion of their total revenue is from ADAS, vehicle radar, vehicle networks and vehicle electrification products, infotainment and powertrain. This makes them the current leader in the autonomous driving industry in terms of market share. Despite the concentration of competitors, they have an impressive 18.6% market share. Aside from their broad autonomous driving portfolio, the company has used their market leadership to enter different types of strategic partnerships to advance their offering. Green Hills Software: NXP have teamed up with Green Hills, a global leader in embedded safety and security to enhance the essential safety aspects of autonomous driving. Green Hills’ INTEGRITY real-time operating system (RTOS), expands the growing ecosystem surrounding NXP’s S32 portfolio for ADAS and central compute systems. Movandi: As part of autonomous driving, 5G connectivity will be crucial for cars to seamlessly and securely connect to the outside world. The partnership leverages Movandi's innovative RF transceiver and systems architecture to deliver high-performance 5G solutions. Kalray: NXP does not have their own processors like Intel or Nvidia. 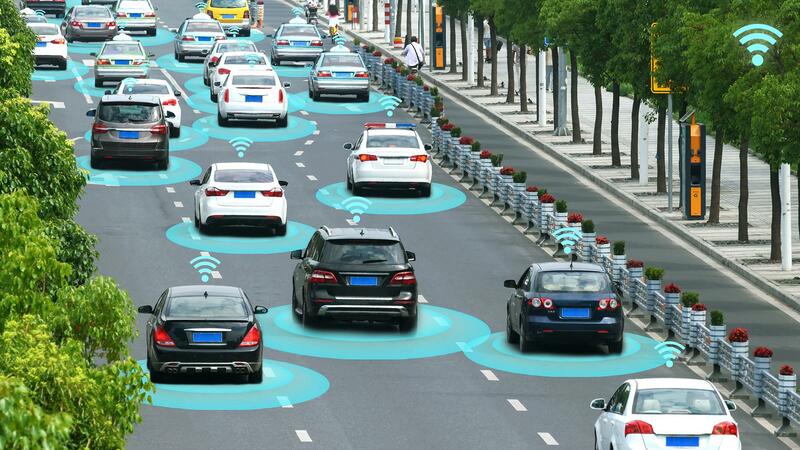 To overcome this, they have partnered with Kalray, which will integrate their massive parallel processor array into the autonomous driving development platform. OmniPHY: NXP outright acquired this company in September of 2018 to bring high-speed Ethernet to NXP’s automotive portfolio. OmniPHY’s advanced high-speed technology enables the rapid data transfer required for autonomous driving. Honda (NYSE:HMC): One of the largest carmakers in the world has teamed up with NXP to launch a new intelligent car technology, to be fitted into future lines of Honda vehicles. As seen, NXP clearly has the widest product offerings when it comes to autonomous driving technology, and with already a strong foothold into the market, their title as one of the top three autonomous vehicle companies is very much justified. NXP is a leading semiconductor company with a huge exposure to the autonomous driving market. Despite revenue growth stagnating in the past couple of years, they have a great deal of products set to hit the market. Their P/E ratio of 13.7x is also below the semiconductor industry average of 18.9x implying they are undervalued. With a consensus price target of $98.33, now would be a good time to buy them. Micron is one of the industry's leading memory providers. The major trilateral agreement they have with Intel and BMW to supply memory solutions for their autonomous vehicle systems seem to have secured their piece of the pie. They have also entered an agreement with Qualcomm (QCOM), another leading player in the autonomous driving space. The new Qualcomm Snapdragon Automotive 5G Platform will feature a custom Micron 149 ball count multichip package. Although Micron is a great company trading at a discount, I excluded them from the top three because of their focus on being mainly a memory provider in the autonomous driving space. Alphabet is the only company that currently operates a commercial autonomous vehicle program in the US, and already have plans to expand globally. Their autonomous vehicle segment, Waymo clearly has the best technology in the market. However, Waymo has failed to build the hype surrounding their vehicles and profitability issues have limited their launch to just a few hundred customers. By working alone, Alphabet may have just given the edge to other companies which are strategically working with each other to develop their systems. Having said that, Alphabet have a strong balance sheet with a very diversified revenue, and would make an attractive investment for exposure to self-driving cars. Samsung are a global conglomerate and the largest semiconductor company in the world. When it comes to electronics, it is safe to say Samsung cannot be discounted. Samsung debuted their DRVLINE autonomous driving platform in 2018. As large as they are, even Samsung admitted they have to partner with other companies to succeed in this market. Their many partners complement them in software, in-car compute, communications and sensors. Their leap towards autonomous vehicles also involved the creation of an automotive Strategic Business Unit and the establishment of a $300 million Samsung Automotive Innovation Fund. Finally, the company acquired Harman for $8 billion in 2017, which produces automotive navigation systems, infotainment, telematics and driver-assistance technologies. With $7.21 billion in revenue, they now lead the infotainment niche of the autonomous space. While Samsung have made impressive strides in this area, I did not include them in the top three because they have been slower to market, with competitors having already developed much more sophisticated ADAS. Note: For more research and analysis of high quality companies within the semiconductor industry, please click the "Follow" icon at the top of this page. Disclosure: I am/we are long SSNLF, NVDA, MU. I wrote this article myself, and it expresses my own opinions. I am not receiving compensation for it (other than from Seeking Alpha). I have no business relationship with any company whose stock is mentioned in this article.